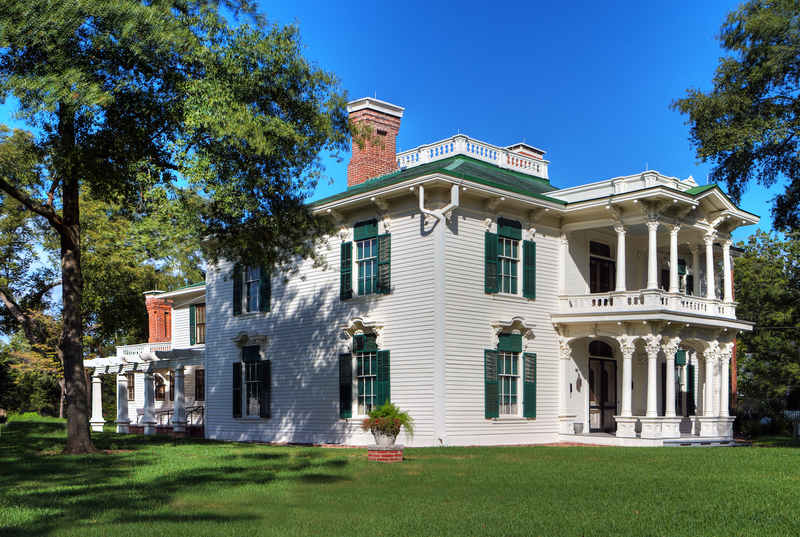 Austin, Texas — Preservation Texas, Inc. has announced that the conservation of the Sam Bell Maxey House State Historic Site in Paris, Texas, will receive a 2016 Honor Award on February 18, 2016. The Honor Award will be presented at a special ceremony at the historic State Theatre on Congress Avenue in Austin as part of the Preservation Texas 2016 Summit. This Italianate masterpiece, located at 812 South Church Street, was built as a residence for Sam Bell Maxey, a military leader who served in the United States Senate. The Maxey family lived here for nearly 100 years. The house is wood balloon frame construction with lap siding and shingle roofing. The interior includes the family’s furnishings, including artwork, papers, and household items. The property was initially restored in 1980 to create a house museum. The recent conservation project involved extensive repairs but maintained nearly all of the historic materials. The quality of the original materials and conservation methods enabled the team to repair rather than replace. Cypress window sashes were repaired and reglazed using the original glass. A decorative leaded glass transom was reconstructed. Shutters, painted shut for years, were disassembled and reassembled using repaired parts and replacement pegs. Today, the shutters are fully functioning, often used by the staff to control sunlight and heat gain into the interior. Inside, mechanical and fire protection systems were installed, with care to minimize their impact on the historic fabric. The project team included the Texas Historical Commission and Quimby McCoy Preservation Architecture.